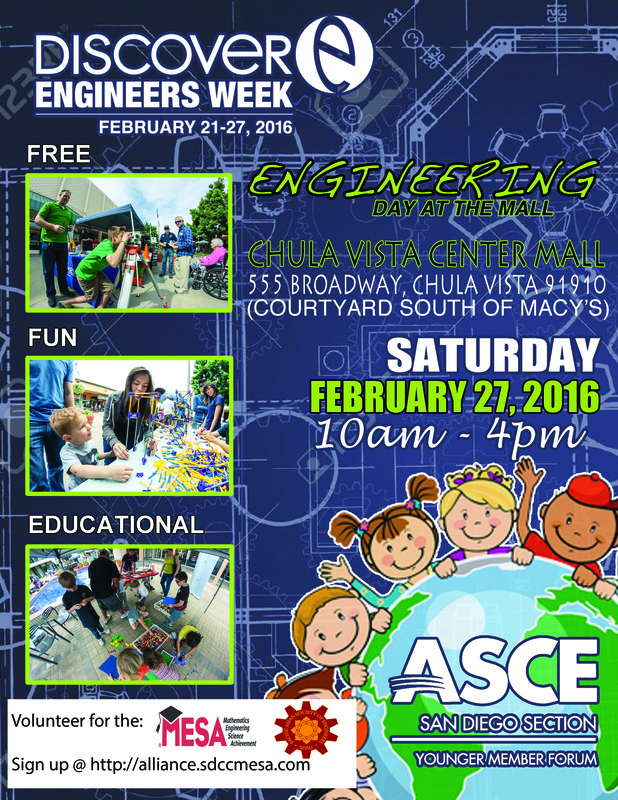 Every February, the American Society of Civil Engineers Younger Member Forum (ASCE-YMF) sponsors Engineering Day at the Mall during National Engineer’s Week. 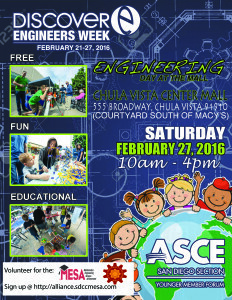 This event features a variety of booths designed to spark students’ interest in engineering and science. The hands-on projects are geared toward young students and teach basic engineering concepts such as buoyancy, structural stability, simple calculations, and problem solving in a fun and interactive setting. Each year, students who participate continue to impress our volunteers with their boundless creativity and enthusiasm. It is an excellent opportunity for these future leaders to discover the exciting fields within engineering. This year, the event is on Saturday, February 27, 2016 from 10:00 am – 4:00 pm at the Chula Vista Center Mall (555 Broadway #1019, Chula Vista, CA 91910, in the courtyard south of Macy’s). 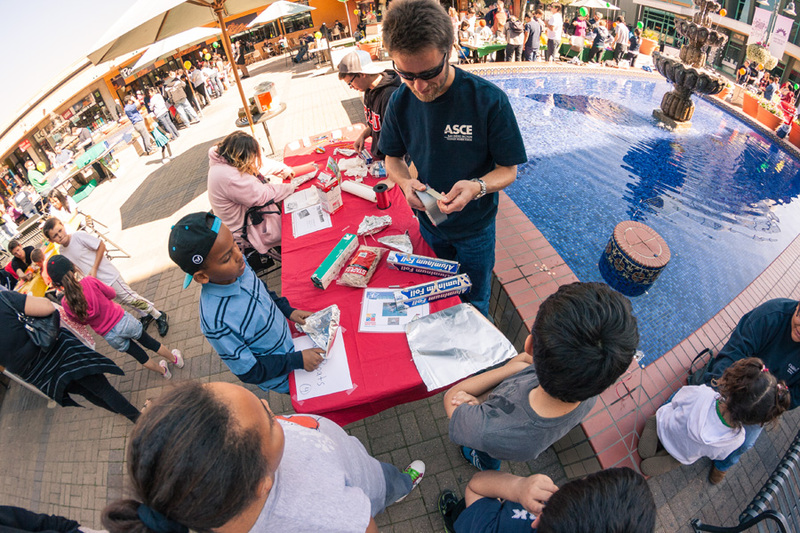 The San Diego MESA Alliance and SDSU Pacific Asian Society of Engineers (PASE) staff and students will be volunteering to provide a hands-on activity involving creating prosthetic fingers (families and kids can finish building the entire hand with the takeaway kit at their respective homes) with simple materials such as straws, string, pony beads, and tape.